Are you looking for a subtle way to show your steampunk style? This Steampunk Octopus Wrist Cuff fits like a watch, yet with its incredibly engraved design, easily shows off your love and interest in all things that are steampunk. This handsome wrist cuff is made from supple leather and offered in a medium brown hue. 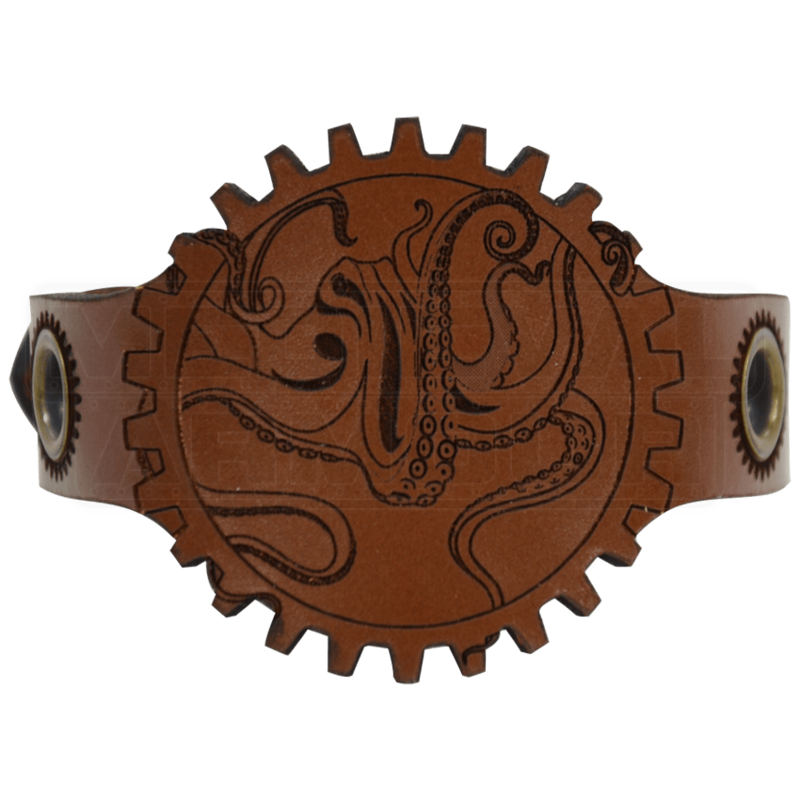 The wristband is accented with grommets and engraved gears, while the main face of the wrist cuff features a gear shape set around an octopus. The cuff comes in one size, but has a buckle for an easily adjustable fit. 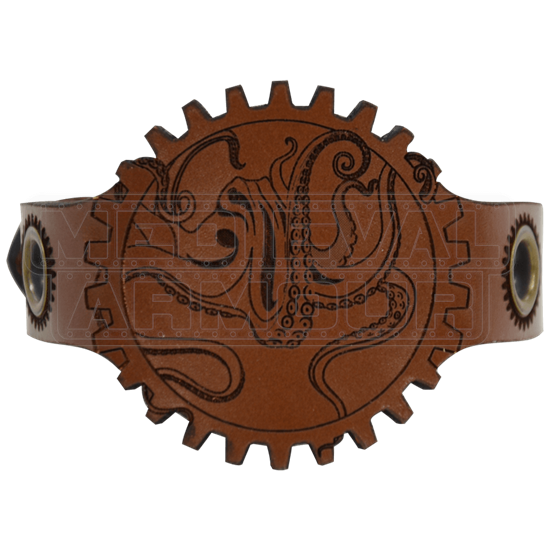 For costumes or for casual wear, this Steampunk Octopus Wrist Cuff is a stellar accessory to wear when you want to fly your steampunk flag.